Earth, Empire and Sacred Text seeks to construct a Muslim-Christian theological discourse on creation and humanity that could help adherents of both faiths work together to preserve our planet, bring justice to its most needy inhabitants and contribute to peacebuilding in areas of conflict. Drawing on theology, philosophy, ethics, hermeneutics, critical theory and the social sciences, its premise is that theology is always developed in particular situations. The book explores the global context of postmodernity (the post-Cold War world dominated by a neoliberal capitalist system) and the influential turn away from the modern Cartesian view of the autonomous, disembodied self, to a self defined in discourse, community and culture (postmodernism). It traces the “career” of Q. 2:30 (Adam’s God-mandated trusteeship), first in Islamic commentaries in the classical period and then in the writings of Muslim scholars in the modern and postmodern periods. The concept of human trusteeship under God is also studied over time in Christian and Jewish writers. Building on this data, the author draws together the essential elements for a Muslim-Christian theology of human trusteeship. "The breadth of Johnston’s reading and research on display here is simply staggering. In addition to his deep familiarity with over a millennium of Islamic commentary on the Qur’an, he also brings to this project a range of insights drawn from the disciplines of sociology, economics, politics, and philosophy, as well as from hermeneutics and from both Muslim and Christian theology." 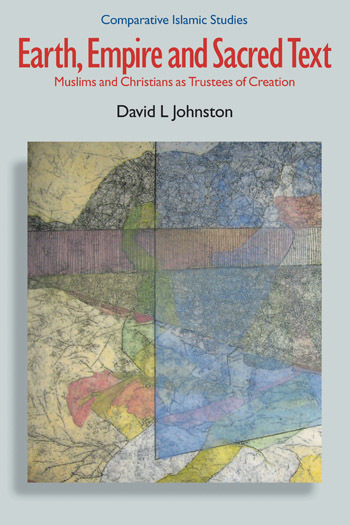 "Johnston offers a possible rapprochement between Christians, Muslims, Jews, and indeed, the whole human family, based on insightful Christian and Islamic readings of sacred texts conveying God's original creational commission." "A brilliant example of profound scholarship that connects with social and political realities. Trusteeship is not just a concept that will enhance Christian-Muslim relations. It offers a sound and solid foundation for the articulation of our common humanity. Johnston has brought all these elements together in this magnificent work."